Every year, Brooklyn Lifelong Learning (BLL) offers adults an opportunity to discover a multitude of new and exciting classes. 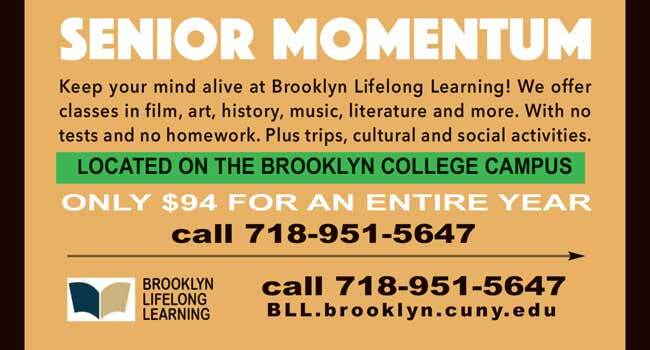 Move forward at Brooklyn Lifelong Learning by joining a friendly community of seniors who share your enthusiasm and love of learning. In addition, there are trips and cultural and social activities to enjoy. Experience the fun of being a student again!